Moving to Dallas-Ft. Worth? Let us help you find your best place to live in this metro area. First, some basics: The Dallas-Ft. Worth metro area comprises 13 counties in Texas. The largest cities in the Dallas-Ft. Worth metro area are Fort Worth, Arlington and of course, Dallas. 6, 703, 020 people live in Dallas-Ft. Worth within 2, 370, 055 households. The population of Dallas-Ft. Worth is 49% White, 15% Black and 6% Asian. 1% identify as another race or ethnicity, or two or more races. 28% of residents are of Hispanic or Latino origin. 17% of residents are foreign-born. The median age is 34.1, and the largest number of residents falls into the 25 to 34 age range. 27% of residents are under age 18. 10% are over age 65. 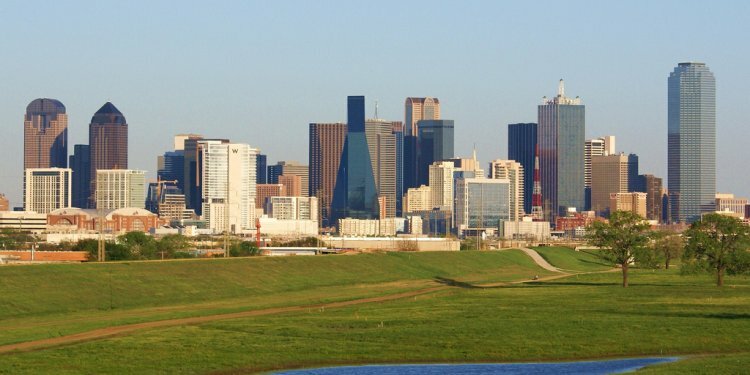 49% of Dallas-Ft. Worth’s residents are male. Who lives in Dallas-Ft. Worth? There are 618, 931 married couples without children and another 579, 918 married couples with kids under the age of 18. There are 57, 769 single dads and 197, 993 single mothers. 595, 581 residents of Dallas-Ft. Worth live alone. How affordable is Dallas-Ft. Worth? The median household income in Dallas-Ft. Worth is $59, 175 compared to $53, 482 for the nation as a whole. The per capita income is $29, 766 compared to $28, 555 for the nation as a whole. The highest incomes in the Dallas-Ft. Worth area are found in Westover Hills with a median household income of $196, 250, followed by Highland Park and University Park. The lowest incomes are in Westlake with a median household income of $250, followed by Commerce and Pelican Bay. The highest home values in the Dallas-Ft. Worth area are found in Westlake with a median home value of $1, 000, 000, followed by Highland Park and Westover Hills. The lowest home values are in Pelican Bay with a median home value of $32, 300, followed by Horseshoe Bend and Elmo. 27% of households earn more than $100, 000 annually. Conversely, 29% earn less than $35, 000. 9.3% of married families with children live below the poverty line. Overall, 21.4% of Dallas-Ft. Worth's children live below the poverty line.